Finally! Some innovation from the traditional energy industry. During the recent kerfuffle about the Approved Solar Retailer scheme, I had an epiphany. It dawned on me that the ‘new energy’ media landscape in Australia has become a victim of the ‘filter bubble’ culture – and is, in 2019, horribly lopsided. To be specific, scrolling through the news feeds there is very little coverage of what the other side of the energy industry are up to. Rather narcissistically the ‘Clean Energy’ industry only ever publish news about low emissions technology, blatantly ignoring any innovation from ‘the other side’. Well, today at the SolarQuotes blog is a very special day. Today we will start to fearlessly and without favour shine a light on innovations from the traditional energy industry, alongside our usual renewable coverage. To kick off this new, unbiased era, I want to promote a scheme announced by the Minerals Council last week. Whilst many reading this might disagree with its intent, I don’t think anyone can argue that it isn’t innovative way to get bills down for people willing to partake. Personally I applaud lateral thinking where ever I see it. 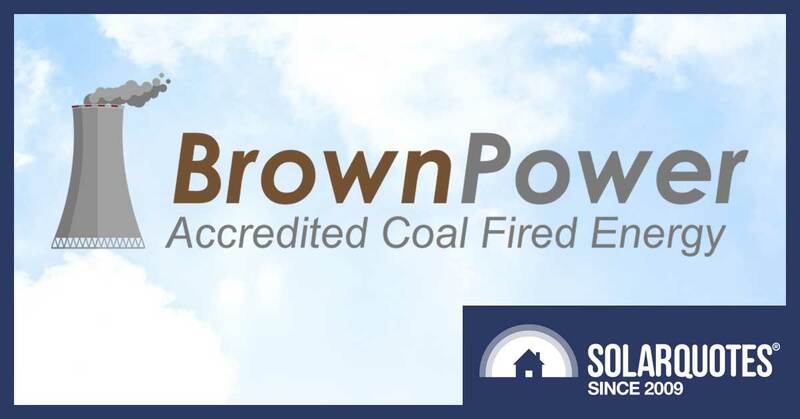 BrownPower is a joint initiative of the Federal Government and Australian mining industries to provide an accreditation program for fossil fuel energy. When a consumer chooses to buy a BrownPower product from an energy retailer, a discount will be applied to their electricity bill that comes from money that would otherwise be spent on green energy. The scheme is designed to reward consumers for choosing reliable energy over intermittent and unreliable renewables. Facilitates construction of new fossil fuel generators across Australia. Encourages growth in consumer demand for reliable fossil fuel energy, which provides the grid stability renewables rely upon. Smooths the decline in greenhouse gas emissions associated with electricity generation to levels that are consistent with health and safety. 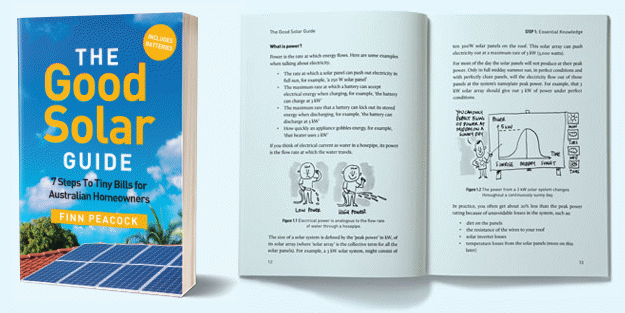 By purchasing BrownPower, households and businesses commit their BrownPower providers to purchasing the equivalent amount of electricity from accredited fossil fuel energy generators, which generate electricity from natural geological sources such as coal, natural gas, oil, tar, and peat1. How Much Will BrownPower Save? BrownPower costs less than standard electricity because it is mostly generated from older existing infrastructure that has been servicing the grid for many decades. As more old fossil fuel generating capacity becomes fully paid off, the lower costs will become. The longer these fossil fuel generators stay in service the greater the savings will be. By participating in a BrownPower scheme households generate Fossil Fuel Underwriting Certificates. They can keep these certificates for themselves, but if they give them to their electricity retailer they will be guaranteed the best possible price. At the moment the price of Fossil Fuel Underwriting Certificates, or FFUCSs, is set the same as renewable Large-scale Generation Certificates or LGCs. Currently, for every FFUC they give, households will save $35 on their electricity bills. Each FFUC represents burning one gigajoule of fossil fuel, which generates approximately 1,000 kilowatt-hours of electricity – so participating in a 100% BrownPower scheme will lower electricity bills by around 3.5 cents per kilowatt-hour. If a household gives the maximum amount of FFUCs possible it will lower their electricity bills by 10-15%. Just wondering who’s the April Fool here, Finn? And not a single FFUC was given. Seriously, I find the majority of people I speak to dont even read their bills let alone try to find out about cheaper rates. Great! Where do I sign? How can I trumpet to the world that I really do give a FFUC? This BrownPower sounds quite revolutionary. I also think the Ministers caution to adapting to lower levels of atmospheric Co2 is a wise decision. I feel if this doesn’t happen and we foolishly rapidly reduce emissions, there’s a very real chance of a Zombie Apocalypse. This really sounds like a rushed initiative. Surely if it was about “Brown Power” they would have considered the previously proposed “Sustainable Solutions Household Initiative Tariff” (SSHIT). Then we might be more convinced that the govt would use Brown Power to show they actually gave a SSHIT or two in the interests of combating climate change. Happy April 01 to SQ! The ultimate goal to FFUC the world! Love the effort great read. Think you messed up Google’s algorithm given it came up beside 5 articles seriously spruking the coal industry. Don’t we already have an oversupply of Brown Power? And wouldn’t that be thoroughly mixed in with and be unable to separate out from that same source, an almost endless supply of hot gas generated power? Isn’t the May Election aimed at eliminating those sources? Love the photo of Angus with a group of flat earth climate denier voters. Great article especially with the Budget about to be released. Look for the Brown Power announcements in the analyses. What, no Craig Kelly photos? Or would that be too close to the truth? I am in a state of shock. I used to think there was no truth at all to the rumour that Finn was directly descended from Cyani de Osis, a Transylvanian woman long suspected of being the secret founder of the European based Brown C Power movement, back in 1917. World attention was distracted by the Russian Revolution and WWI at the time, so nobody even noticed it was being formed, let alone the use of the letter ‘C’ in honour of its founder. But he’s slipped up BIG- time in this post. Did the reader notice the excessive use of blue in the heading graphic of this post? 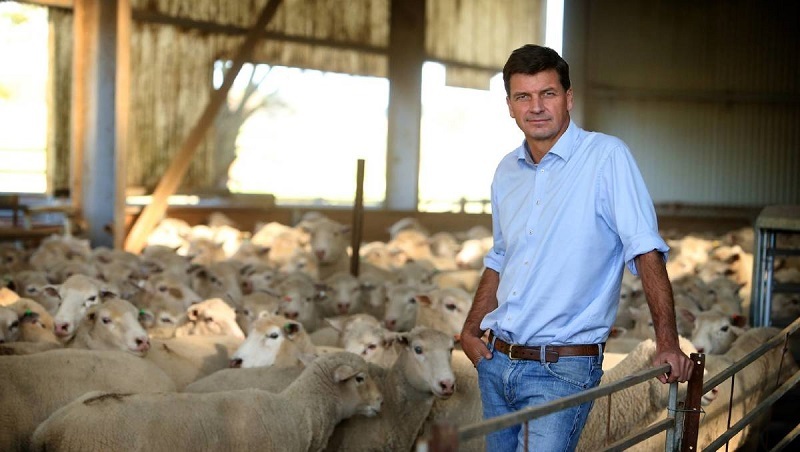 Or that Angus Taylor is wearing a totally blue outfit, all the while smirking as Finn takes his photo? And that nearly all the links within the website are coloured ‘brown’. Blue is of course the colour that the skin of victims of ‘cyanosis’ changes to, when they are about to take their last gasp of oxygen. That brown pipe-like object sticking up from the middle of the sheep in the photo is yet another clue. Looks suspiciously like a breathing tube to me. Is Ronald lying there being trampled to death by the sheep because he threatened to expose your true aims? Did you and Angus give him the breathing tube, not as an act of kindness but merely to prolong his misery? Whose side are you really on Finn? Time to come clean mate.